When do you write? Other than work related? If I’m honest, the answer is not too often. The same applies to the children in school. 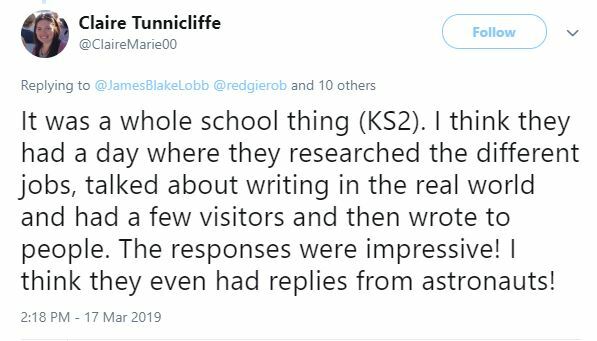 When I asked the children in my class the same questions, I was pleasantly surprised by the number who said they enjoyed writing stories away from school, but still, it got me wondering when else can children find opportunities to write. I shared that list with some children and their parents at parents evening. The idea is to give them some real life reasons for writing so that they have a real reason to practise and develop their skills. The children enjoy the autonomy of writing what they want. In school we often tell the children what to write in terms of genre, topic, audience, purpose, etc. This is just a list of reasons, the children have the freedom to decide which ones they want to do, what they write about and how many times they do it. There is no requirement for the children to bring in or show me the writing they produce. Just practise. Any other ideas for writing opportunities to add to the list will be gratefully received. I didn’t just give the list to everyone for two reasons. If it was given to everyone, then I felt it would have been done by the same children who diligently do as they are asked. This is not a problem in itself, any writing is good, right? 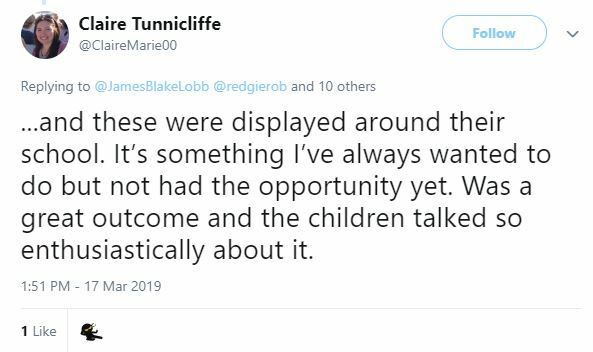 But I really wanted it to be a challenge that only a few children had so they felt it was special, placing greater value on the writing opportunities for them. I was also worried that the individual ownership and autonomy over the audience and creative process might be diluted if everyone was doing it. We’ll see how that turns out. During my research for this list I asked eduTwitter to offer any reasons for writing to add. One deputy head teacher and literacy specialist, Claire Tunnicliffe, shared a great idea about finding out when and where people use writing. Research local businesses and then write to them asking them when and why they use writing. I’ll give this a go next term when we are doing a local area study. Keep it real y’all. We’ve had much debate for years in education about the worth of homework. Should we set it in KS1 and KS2? What homework is of value? What about the children who don’t do it? As an SLT at my school we agreed that regular reading at home is paramount. Beyond that, practise of key maths and writing skills can certainly also be of use. But what we really wanted to do was encourage the children to have a range of experiences away from school with their families to enrich their lives, hopefully become better citizens, but above all, make memories. From there we created The Sidlesham101. This is a list of activities, experiences and deeds which we hope all of the children in our school will attempt at some stage before they leave us at the end of year 6. These activities are designed to be particularly relevant to our local area, although many can be replicated elsewhere. We began by asking the parents and children for their suggestions and were delighted with their responses. Loads of ideas were shared, which were very specific to our local area and really captured the collective imagination. Now the list has been shared with the children and parents, we will see how they respond in practical terms. We have a display to share photos and testimonies in school and a #TheSidlesham101 hashtag on Twitter. If you like the idea and want to have a go at some of the activities or want to start your own list, please do use the # so we can see what you’ve been up to.